So at my local cinema, they were streaming the live play of Yerma showing in London. I jumped at the chance as I've wanted to see it for a while ever since Billie Piper was announced as starring in it. She is one of my favorite actresses, and I've seen her play The Effect that she starred in a few years ago that was also an amazing performance. I actually met her after at the stage door, got my photo with her and her autograph. I was so nervous, I thought I was going to faint but she was so lovely. 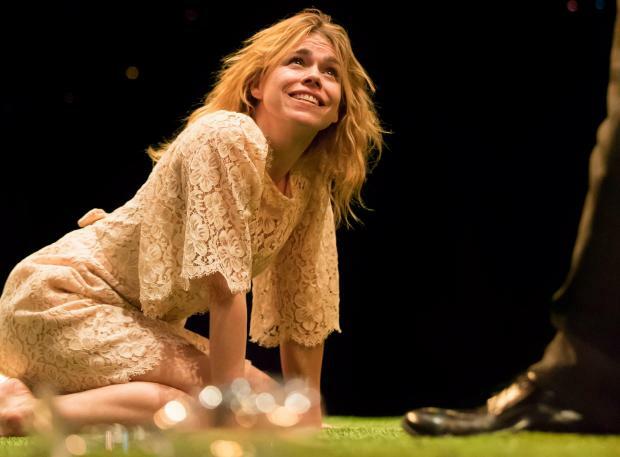 Now Yerma is about a young woman that is driven to the unthinkable by her desperate desire to have a child. Bille Piper stars as the main character, it's set in modern-day London and Piper's portrayal of a woman in her thirties is so desperate to conceive a child that it results in a shocking and staggering climax. Bille Piper was truly incredible with her performance, just stunning. Now I thought it was interesting to see that it was set in contemporary London.